The University of Michigan is one of a very small group of U.S. colleges selected by the U.S. Department of State to host a Diplomat in Residence (DIR)—a career Foreign Service officer who provides guidance and advice to students and professionals who are interested in exploring careers, internships, or fellowships with the U.S. Foreign and Civil Services. Louis (Lou) Fintor, is a U.S. State Department Diplomat in Residence at the Ford School. He returns to the United States, having most recently served as spokesperson at the U.S. Embassy in Kabul, Afghanistan. Fintor joined the State Department in 2002 as a press officer in the Bureau of Public Affairs’ Office of Press Relations. He subsequently served as embassy spokesperson in Kabul (2005-06), Baghdad (2006-07), Islamabad (2007-08), and Sana’a, Yemen (2012-14). He also completed press officer assignments at Embassy Paris (2011); Consulate-General Istanbul (2011); Embassy Dhaka, Bangladesh (2008); the former U.S. Office Pristina, Kosovo (2008); U.S. Mission to NATO (2007); and U.S. Embassy Budapest (2003 and 2004). Fintor holds degrees in journalism from both the University of Michigan and American University. 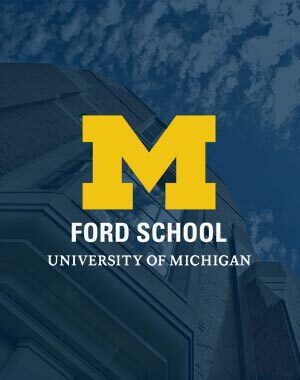 The Harry A. and Margaret D. Towsley Foundation Policymaker in Residence Program was established at the Ford School in 2002 to bring individuals with significant national and international policymaking experience to campus to interact with students and faculty. The program enhances our curriculum and strengthens our ties to the policy community. Phyllis Meadows is a Harry A. and Margaret D. Towsley Policymaker in Residence at the Ford School for the winter 2019 semester and a senior fellow in The Kresge Foundation’s health program. Since joining the foundation in 2009, Meadows has advised on her team’s strategic direction, provided leadership in the design and implementation of grantmaking initiatives and projects at all levels, and linked national organizations with experts in the health field. 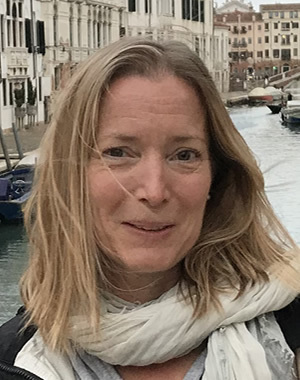 In addition, she has led the foundation’s Emerging Leaders and Public Health Program and advises and supports a variety of cross-team programming. A former public health officer for the City of Detroit, Meadows’ 30-year career has included serving as associate dean for practice at the University of Michigan School of Public Health, as adjunct faculty at the Wayne State University and Oakland University schools of nursing, and as a program director with the W.K. Kellogg Foundation. The Honorable Sander “Sandy” Levin is a Distinguished Policymaker in Residence at the Ford School in the winter 2019 semester, with support from the Harry A. and Margaret D. Towsley Policymaker in Residence Program. He comes to the Ford School having represented residents of Southeast Michigan in Congress for over 35 years. In that time, Levin was actively involved in the major debates confronting our nation including welfare reform, the auto industry rescue, China’s entry into the World Trade Organization, the Iran Nuclear Agreement and every critical economic policy issue. He chaired the House Ways and Means Committee including during passage of the Affordable Care Act, drafted the language to add enforceable labor and environmental standards in trade agreements for the first time, and successfully fought the privatization of Social Security. Born in Detroit, Levin earned a bachelor’s degree from the University of Chicago, a master’s degree in international relations from Columbia University, and a law degree from Harvard University. He developed a private law practice, served two terms in the Michigan State Senate, ran for Governor and served as an assistant administrator at the Agency for International Development before his election to Congress.